The treatment is also called as “laser lipolysis’ which is a non-surgical technique of removing stubborn fat deposits from any area of the body including buttocks, thighs, knees, neck, face, abdomen, chest, hips etc. Laser Liposuction in Islamabad, Rawalpindi involves use of laser beam of specific wavelength that accurately targets fatty pockets to cause destruction and doesn’t affect surrounding tissues. Once laser beams penetrate deep into the skin it destructs fatty material as well as increases the amount of collagen that in turn results in tightening of skin. 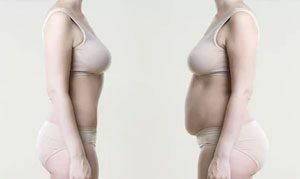 Patients come up with moderate attractive physical appearance after getting rid of fat pockets. Laser Liposuction in Islamabad, Rawalpindi & Pakistan generally delivers aesthetically permanent results after few months of treatment while healthy exercise and balanced diet is essential for maintaining them. Among individuals, outcomes may vary. No Guarantee. The major of Laser Liposuction Treatment in Islamabad & Pakistan is to destruct fat rich cells with the help of laser beams in order to achieve slim outlook. This quickest and effective procedure is designed in such a way that there is no use of using any of the surgical tools during whole process that majorly aids in generating less complication rates. Cosmetic surgeon first marks the area with excess of fat deposition to keep them in focus. Once the area is marked, local anesthesia is applied to cause no discomfort to the patient. Following procedure, surgeons accurately creates very small incision on the targeted area so that lasers can pass easily. Laser beam of specific wavelength is passed through the incision with precision. It breaks and melts the fatty material by keeping surrounding tissues unaffected. A little sensation of heat and pressure can be felt but nothing more. Resulted melted fats are drained off through the lymphatic system. This laser treatment requires very short recovery period as compare to traditional surgical liposuction treatment. Little swelling, bruising and redness usually become observable which settles over time. If you see any of these minimal side effects, don’t take tension they are temporary. You cosmetologist will recommend you to take care of your treated site and avoid applying pressure to it. You can come back to your routine activities within 3 days. Fill in the consultation form and write us your concerns to get more information about Laser Liposuction in Islamabad, Rawalpindi. At SKN Cosmetic Clinic we offer FREE consultations with no obligation. After listening to individual needs, our expert professionals bring you right treatment plan for you.